People love fishing perhaps because humans have genes for hunting and chasing. Fishing can be either a leisure sport or a commercial competition. One of the necessities is fishing hooks. 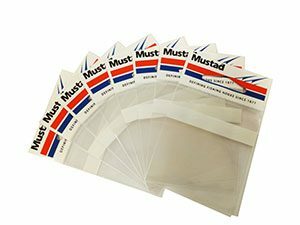 There is a company named Mustad. It has manufactured fishing hooks for over one hundred years. Mustad invested in the factory in China 15 years ago and later it expanded to be the largest production base for fishing hooks in the world. It is the best-selling hook brand on the earth with presence in over 160 countries. 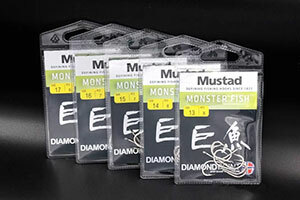 Quality control at all stages of the production is the major concern for the Mustad Company. All the fishing hooks are made of steel wires which are imported from Norway. The steel wires are made into beautiful and high-quality fishing hooks through cutting, grinding, high temperature heating, quenching, tempering, cleaning, plating and so on. Boxon, with Nordic genes as well, constantly provide packaging solutions for Mustad. We ensure the fishing hooks arrive safely to destinations and keep optimizing the packaging solution to save cost for the customer. 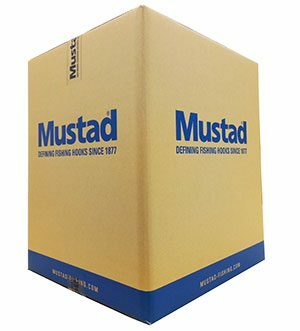 Boxon offers the widest and most comprehensive ranges of packaging products to Mustad. Therefore the customer can free themselves from the administration of a variety of packaging suppliers. In so doing the customer saved much labor, time and risk to manage different packaging suppliers’ quotation, quality check, delivery time, etc. It lowers the administration cost and gives the customer more advantages during price negotiation and then saves packaging cost overall. The performance of packaging materials are sometimes affected by the environment. PVC bags for fishing hooks become soft and sticky in high-temperature weather, while they become more brittle as the temperature is low. In the past the seal of the PVC bags broke sometimes after getting to a cold destination, resulting in a certain amount of customer complaints. Boxon improved the packaging quality by adjusting the proportion of additives and optimizing the manufacturing process for different destinations. As a result it reduced the customer complaints and decreased the loss. Boxon analyzes every product, its transport and warehousing environment. The next step is to select the most appropriate packaging materials, design and optimize the solution based on customers needs. Does the size need to be adjusted? Is it necessary to change the thickness of the material? Should packing machines be used to save labor cost and improve packaging accuracy… You do not have to worry about these issues. As the packaging expert Boxon will find every point that you can improve to help you achieve more profit.